Especially nowadays, many previously attainable ways to emigrate to the United States are either off limits or so locked down with restrictions that some people feel stuck. However, marriage to a U.S. citizen does allow a person to obtain permanent residency in most cases, as long as you can establish your bonafides as an actual couple. Before you marry, it is still a good idea to ensure that you understand what your rights are and the obligations you must fulfill before any status is granted. The most common ways for someone to bring over a foreign spouse is to petition for an immigrant visa if they are already married, or a K visa if they are engaged. A K visa is a nonimmigrant visa, not an immigrant visa, and all it does is allow the foreign spouse to enter the U.S. and get married. It does not permit them to stay beyond 90 days unless the wedding has taken place. While the foreign spouse is obtaining their K visa, the U.S. citizen spouse should be filing a Petition for Alien Relative, which then allows them to adjust their status from within the country, as opposed to having to go back to their homeland. None of this process is possible, however, if the foreign national does not meet at least some of the requirements for an immigrant visa and bring all the appropriate documentation the consulate requires. If the person is inadmissible, they must first file for a waiver of unlawful presence (or whatever ground is making them inadmissible, such as having a criminal record), and then seek to use the K visa. Some grounds for inadmissibility do not have a waiver available, such as espionage, or being a member of the Nazi Party or any other group participating in a genocide. 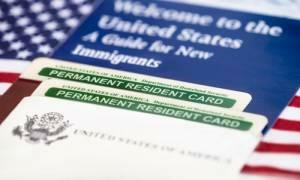 While it is still possible to marry a foreign national and help them adjust to being a U.S. permanent resident, some of the historical benchmarks are moving. Bona fide marriage to a U.S. citizen has been one of the only ways that an undocumented immigrant can obtain legal status, but in order to do so, they had to apply for and receive a waiver of their unlawful presence (and possibly their entry without inspection, which will almost always require an additional waiver). These waivers have always been difficult, but not impossible, to obtain. In order to facilitate families staying together, the Obama administration had instituted a system called “parole in place” which allowed many undocumented spouses to remain in the U.S. while they sought their waivers. That parole system was abolished in January 2017, with the incoming administration, meaning that any undocumented spouse seeking a waiver must leave the U.S., which immediately triggers a bar on returning that will last at least three years and can last up to 20. In rare cases, this can actually trigger a permanent bar if the spouse has certain prior immigration violations. While this should obviously not be the deciding factor in whether or not to marry someone, it is important that spouses are honest with each other about any past immigration history, as it can have a major effect on your family going forward. Regardless of whether or not you have documentation, everyone has the right to marry. The right to live in the U.S., however, is not easily won and can be both confusing and long. Having an experienced immigration lawyer on your side can help answer some questions and keep the process going on the right track. The skilled DuPage County immigration attorneys at Mevorah Law Offices LLC can work with you to ensure that the best possible decisions are made for you and your family. Call our office today for a free consultation.